DxO’s superb image-editing tech hits the mainstream. Should Adobe be worried? Update (5 December, 2018): DxO has announced that PhotoLab 2.1 has been released. This update adds file-indexing to the macOS version of the software. The software also adds support capabilities for three new devices, including the Nikon Z 7, Fujifilm X-A5 and the DJI Mavic 2 Pro drone. DxO PhotoLab 2 will incorporate a brand new DxO PhotoLibrary feature so that you can not only apply sophisticated optical corrections, state of the art raw conversions and powerful local adjustments, but organize your photo collection too. 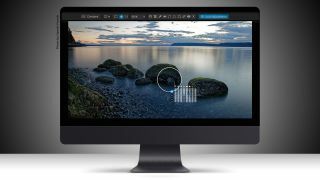 For most photographers DxO is probably best known for its Optics Pro raw conversion and correction software, but DxO’s acquisition of the Nik Collection of plug-ins last year enabled it to relaunch DxO Optics Pro as DxO PhotoLab, with sophisticated local correction tools. This new image organization capability brings PhotoLab 2 closer to a fully-featured standalone all-in-one photo organizing and editing solution to compete with the likes of Adobe Lightroom and Capture One Pro. DxO's Smart Lighting technology can optimise highlight and shadow reproduction automatically. That’s very exciting because DxO is a big name in optical science. It specialises in optical analysis and lens corrections, and in processing raw image data to extract the maximum possible quality. Behind the scenes, DxO technology has been incorporated into 400 million devices to date. It also makes the DxO Analyzer kit used by Digital Camera World in camera tests. The quality of the raw conversions and lens corrections in DxO Optics Pro was already outstanding, but the rapidly developing features in DxO PhotoLab have promoted it from a powerful but specialised tool into a very interesting mainstream photo-editor. DxO has updated the PhotoLab interface to accommodate the new photo organising features. The Organize panel in the previous version was a simple folder browser, but that’s been replaced by a new PhotoLibrary panel which includes both a folder display and a new image search tool. DxO has added a brand new PhotoLibrary feature to add image organizing capabilities to PhotoLab 2. DxO says it has concentrated on PhotoLab 2’s search engine, introducing an auto-complete feature which suggests image metadata matches as you type, such as ISO settings, focal lengths, shutter speeds, filenames, star ratings and more. We’re told that keywords will be added towards the end of 2018. At the same time, the company has upgraded PhotoLab’s ClearView feature, which is designed to cut haze in landscape shots but can actually improve contrast and saturation across a wide range of subjects. DxO's updated ClearView technology can improve contrast in hazy landscapes (top) and in flat-looking images (above) without ugly edge halos. The new version eliminates the ‘halo’ effect you could sometimes get around object outlines if the adjustment was pushed too far, and can be applied to the image as a whole or selected areas. DxO has also added DCP color profile support to PhotoLab 2. These are special camera calibration profiles which can be used as part of an overall colour management workflow by photographers who need very accurate end-to-end colour rendition, a reflection of DxO’s ongoing drive towards technical accuracy. Other DxO PhotoLab features remain the same. Lens correction profiles are applied automatically using the shooting information embedded in the camera’s image files, and to date DxO has produced profiles for 42,000 different camera/lens combinations. PhotoLab 2 will also have DxO’s powerful PRIME denoise tool, which does require a longer processing time than regular denoising, though it’s now four times faster than when first introduced. DxO PhotoLab uses Nik U-point technology to automatically mask selected areas for adjustment (top). The mask is applied only to areas matching your subject's tone (above). To top it all off, DxO is celebrating the arrival of PhotoLab 2 with a brand new website and blog, promising ‘a new way to interact with users’ not just with science, but with culture, art and technique articles too. Exciting times! DxO PhotoLab 2 will be available in a cut-down Essential edition and a full-blown Elite version. Until November 18 2018, PhotoLab 2 Essential will be on offer for £79.99/$99.99 instead of the usual price of £99/$129, while PhotoLab 2 Elite will sell initially at £119.99/$149.99 instead of the usual price of £159/$199.